Diapers, check. Onesies, check. Bottles, check. College savings plan? When your kid is an infant, there are so many new expenses to prepare for, making it easy to wave off the idea of opening a college savings plan. The truth is the earlier you start saving, the better, but it’s never too late to learn more about savings plans or to start one. I have a regular savings account so why open a 529? What sets 529 college savings plans apart from savings accounts? They’re “tax-advantaged,” says Bonnie Carroll, marketing manager of the UA College Savings Plan. Money that you put into the account is taxable, but any earnings the account grows are tax-free when used for qualifying college expenses. With a normal savings account, you have to pay taxes on your earnings, reducing the amount of growth in your account. On top of that, opening a college savings plan begins a dialogue with your child about college from an early age. “Kids with a college savings account in their name are six to seven times more likely to actually go to college, regardless of how much is in that account,” says Bonnie. Engaging your kids early on in this conversation helps them understand the importance of higher education – and setting financial goals. My income is limited. Can I contribute without a monthly payment? You can begin making payments to your savings plan for as little as $25 per month, but if that isn’t do-able for your budget, that’s ok. As Alaskans, setting up and contributing to a savings account is as easy as clicking a box – literally, it’s question No. 6 on your Permanent Fund Dividend application. When you answer yes to this question, a representative will gather your contact information, confirm your decision and the amount you’d like to deposit. Can friends and family contribute to the account? Monthly deposits are just one way to contribute – opening a 529 makes it a piece of cake to invite others to help. Planning a birthday party? Sending out a holiday card? Give family and friends your child’s 529 account number and invite them to make a donation in lieu of a physical present. “When your 1-year-old has enough toys and clothes already, which most of them do,” says Bonnie, “a contribution to their college savings account might be a much better gift and one that will last a lifetime.” Gifts can be contributed directly to the account, or you can deposit a lump sum any time via check or electronic transfer. Will my child be limited to attending college in the state where the 529 plan has been set up? 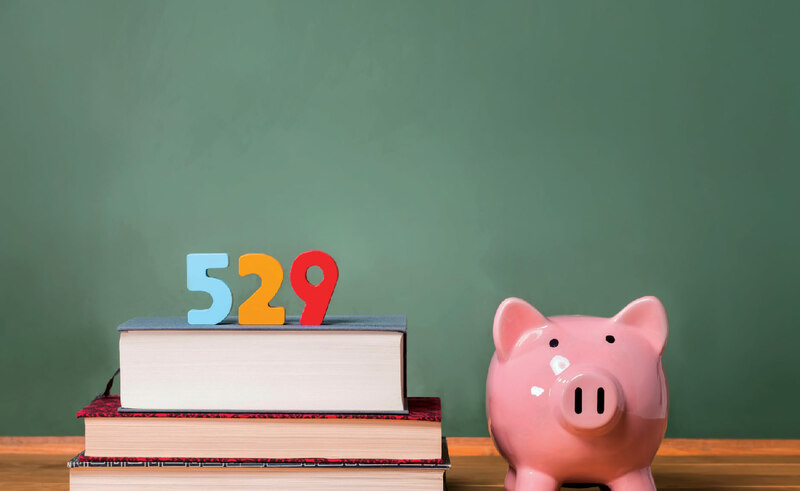 Contrary to myths floating around, a 529 college savings plan, including the UA College Savings Plan, can be used at any school with a federal school code for financial aid. “There’s very few schools, like maybe some bartending schools, that are not eligible,” Bonnie notes with a laugh. There are even hundreds of schools overseas eligible for the use of 529 funds. So, whether your tyke is destined to become a massage therapist licensed by a local vocational school, her heart is set on seeing the world by studying abroad, or she goes to nursing school in Chicago (like John’s oldest daughter), she’ll be covered. “If you think you want your kid to go to college, start early and stay diligent,” recommends John, whose daughters are both going to school debt-free from their 529 plans. A benefit of using the UA College Savings Plan in Alaska, though, is the plan’s tuition value guarantee. This 529 tracks the inflation rates for tuition within the UA System, and if tuition increases more than the interest your funds have accrued, they’ll match the difference. “So if tuition has gone up 15 percent since you made the contribution and your account has only gone up 10 percent, we cover the difference,” Bonnie explains. If your kid decides college isn’t right for him, don’t panic. Funds from the 529 can be used for non-qualifying expenses with a 10-percent penalty on earnings from the Internal Revenue Service or you can simply transfer the funds of the account to a relative, like your other children or even yourself. Avoid a future paying interest on loans and consider accruing interest on your savings by starting a 529 college savings plan. The average amount saved in UA College Savings Plans right now is $13,000. While this may not be a full ride, it’s a foot in the door and it opens conversation.